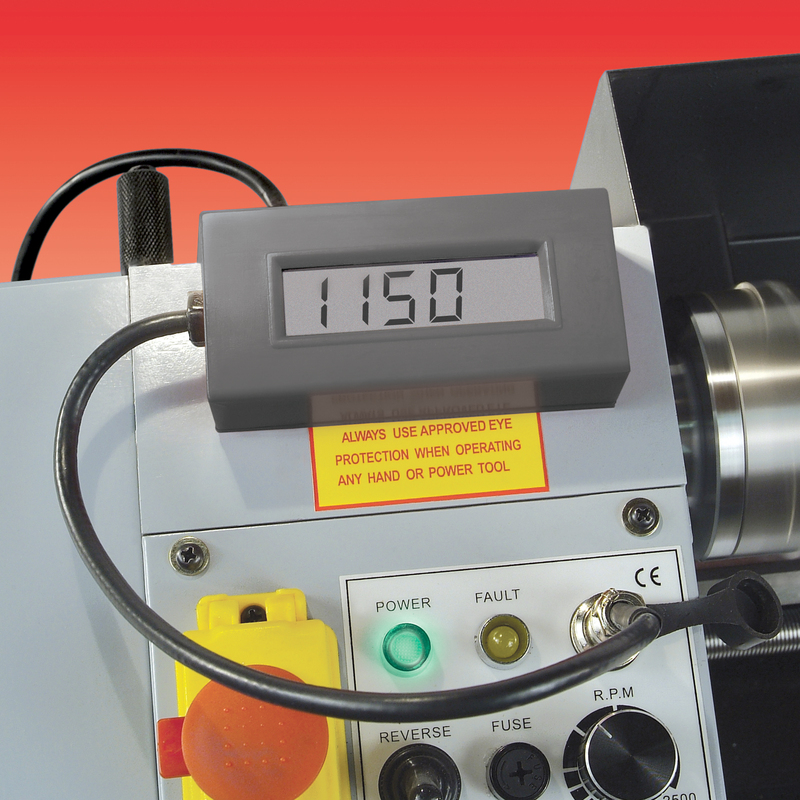 Digital Speed Readout is designed for use with the MicroLux 7 x 16 Mini Lathe and MicroLux R8 Milling Machine. Includes magnetic base for convenient mounting. Plugs into control panel to display spindle RPM.